Entries tagged with “Father Tom Tehan”. 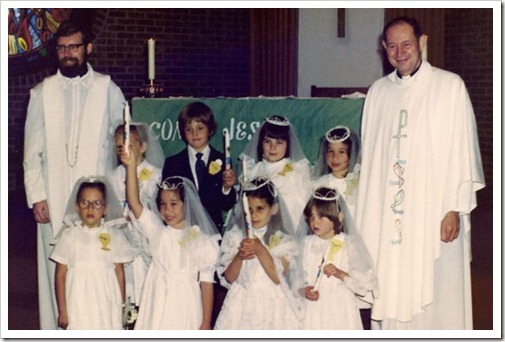 Father Tom Tehan (with the beard) of Co. Meath at our First Communion; I think that’s me raising my candle and my sister in the back row (we’re identical twins and even I get confused!). People here always ask me if I have any Irish blood coursing through my veins, and I always replied that I do not. I’m half-Japanese, part German, perhaps a bit Czech and maybe even a little Yugoslavian. But Irish, no – at least that’s what I thought. And then several weeks ago my dad emailed to tell me that he was looking through our ancestry files and was reminded that his great grandmother (which would be my great, great grandmother) was one Hanora N. McDonough born in January 1872 in…County Mayo, Ireland!? She immigrated to the United States and married Bernard Henry Cook on the 17th of September 1890. So there you go, I’m a bit Irish after all. Relatives aside, my family has some long-standing Irish connections that I either didn’t know about until recently or just forgot about. 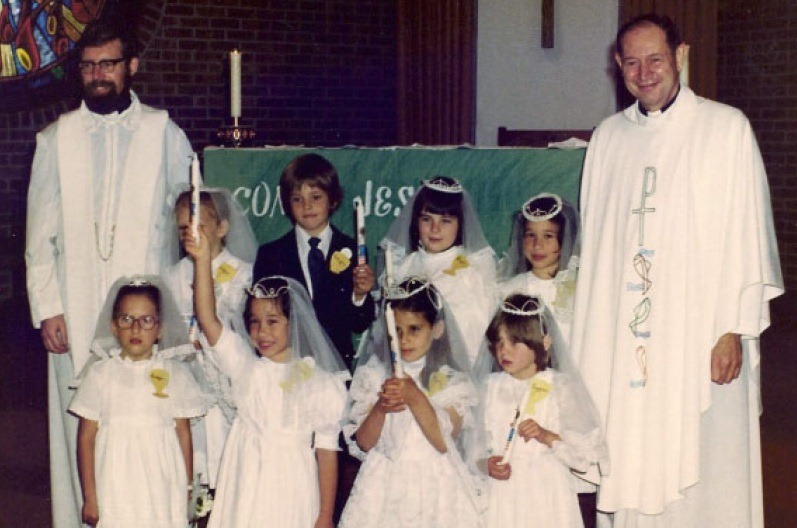 Growing up in Japan, we had a very close family friend in the form of an Irish priest: Father Tom Tehan, who hails from County Meath of all places. My parents met him when we lived in Japan, and he has remained close to us over the years; he even flew out to Arkansas to give my sister and me our First Communion. Shortly after I moved here to Ireland, I met with Father Tom for a cup of tea and a chat when he was here for a short visit with his siblings. An American in Ireland is powered by	WordPress 4.5.17 and delivered to you in 0.305 seconds using 46 queries.